The U.S. men’s national team did not play well but got the job done in Honduras, bagging a 1-1 draw in the World Cup qualifiers, thanks to Bobby Wood’s late goal. The Americans avoided disaster and greatly boosted their chances of qualifying for Russia 2018 just when it looked like their cup lives would be on life support. Wood, a second half substitute up top, the job for Wood was straight forward, just to put the ball away. He did just that with an attentive finish late in the game. It was not pretty, but it never was going to be down in San Pedro Sula in a hot, hostile environment. If the U.S. makes the World Cup, this is the goal many will remember as key to qualification. The U.S. is still in the top three in their world cup qualifiers with two games to go against the two “easiest” teams in Panama and Trinidad and Tobago. It won’t come easy, but the positive result against Honduras could mean that the USA vs. Panama game on October 6 is the decider. A win at home would all but assure the U.S. finishes inside the top four, meaning at worst the team will have a two-game playoff to make the World Cup. If the team’s health to make the World Cup was OK entering this one, it’s been upgraded to good after this result. Every team goes through ups and downs, and though fans expected four points from these last two matches and only got one, things are still good. The Costa Rica match was an upset and disappointing, but don’t take too much away from what you saw from the U.S. at Honduras. 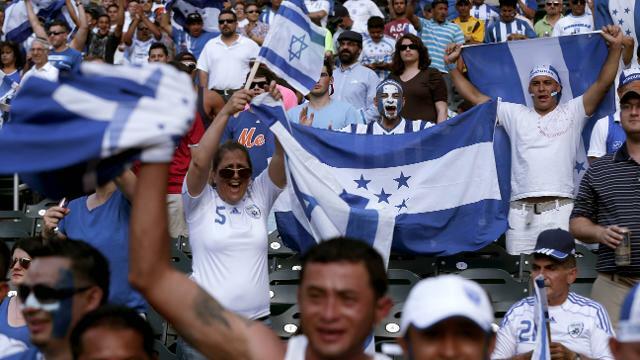 It was played in one of the most hostile places in CONCACAF. It’s not a delightful trip to head to San Pedro Sula, and it was always going to be a scrappy game with a few big moments when on the road and the U.S. took advantage of the big moment and got what it needed.